Today many people find themselves without benefit of medical coverage from their employers. 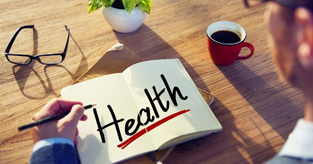 While it is true that more than ever before in recent history many companies are no longer offering health benefits to cut costs, it is also true that it is easier then ever before to shop for and purchase Individual Health Insurance. If you are in the market for an individual or even a small group plan we make it very easy for you to obtain a free quote and compare polices from several different companies. As an individual all of the health insurance products, i.e. : Fee-For-Service, HMO, or PPO protection are available to you; however, you should compare your options and shop carefully because coverage and costs vary from company to company. Individual health plans may not offer benefits as broad as those of group health plans. Even if you are self-employed you may qualify for a group plan, our counselors can explain how. Click for a free quote for family and individual health insurance plans. This is the traditional kind of health care policy. It offers the consumer the most freedom when it comes to picking hospitals, physicians and other healthcare providers. It is also understandably therefore, the most expensive type of insurance. In an Indemnity plan the insurance companies pay fees for the services provided to the insured. There are no restrictions on who the insured can see for covered medical expenses anywhere in the country. These are the types of plans that primarily existed before the rise of HMOs, IPAs, and PPOs. With indemnity plans, the individual pays a pre-determined percentage of the cost of health care services, and the insurance provider will pay the rest. For example, an individual might pay 20 percent for services and the insurance company pays 80 percent. With a Health Maintenance Organization you are basically prepaying a set amount for health services at a specific healthcare facility, hospital, or group of health providers. The monthly rate you pay to the HMO is fixed regardless of the individual services you seek. Services are provided by physicians who are employed by, or under contract with, the HMO. HMOs vary in design. Depending on the type of the HMO, services may be provided in a central facility, or in the individual offices of participating physicians. The preferred provider organization is kind of like a "hybrid" between the traditional fee-for-service indemnity plan and an HMO. Like an HMO, there are a specific doctors and hospitals to choose from. The main difference between a PPO and an HMO and what makes them preferable to many medical consumers is that unlike with an HMO, in a PPO you do not need to select a primary care doctor, nor do you need to seek a referral to see any type of specialist participating in the network. You also are not necessarily restricted to only using physicians in the network but you will typically pay more for "out of network" services. Not so much a different type of plan but more of a modified PPO or HMO, Point-of-service Plans are also often referred to as an open-ended HMO or PPO. A POS usually has a smaller group of providers to choose from than a traditional PPO but gives the same freedom and flexibility to choose any provider within that small network. The POS plan also allows out of network care, but offers substantially lower rates to use those in the network. The POS basically offers the consumer something with a little more flexibility and control over their health care costs than a typical HMO or PPO that costs a bit more for that greater ability to choose and decide what you will pay for given services. Health Savings Accounts (HSAs) are one of the ways that individual health insurance plans are being made more affordable to the consumer. One of the best ways keep premiums on an individual policy way down is to select a plan with a high deductible. HSA's have been designed to couple with high deductible health plans to allow consumers to pay for out of pocket health expenses with Tax Free funds from these accounts before the deductible has been reached. Click Here for more information on Health Savings Accounts (HSA's). Click for a free quote for family and individual PPO health insurance plans.